The UN Security Council was set Friday to condemn the sinking of a South Korean warship but stop short of directly blaming North Korea as urged by Seoul and Washington, according to a draft statement. The text, expected to be adopted by all 15 members of the Security Council on Friday, "condemns the attack which led to the sinking of the Cheonan" in the Yellow Sea near the disputed border between the two Koreas. It also "underscores the importance of preventing such further attacks or hostilities against the ROK (South Korea)," while praising Seoul for the "restraint" it has shown in the months following the attack. But the text does not directly blame North Korea (DPRK) for the March 26 attack in which 46 sailors died, despite the findings of a multinational inquiry which blamed the sinking of the ship on a North Korean torpedo. 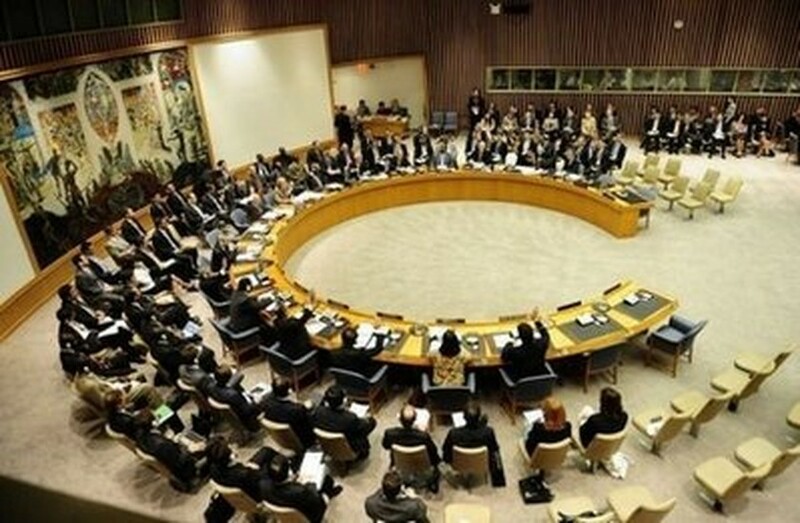 Instead, it states that in view of the findings of the investigation "which concluded that the DPRK was responsible for sinking the Cheonan, the Security Council expresses its deep concern." "The Security Council deplores the loss of life and injuries and expresses its deep sympathy and condolences to the victims and their families and to the people and government of the Republic of Korea, and calls for appropriate and peaceful measures to be taken against those responsible for the incident aimed at the peaceful settlement of the issue," the draft text says. The statement, already approved by the council's five permanent members Britain, China, France, Russia and the United States, now must be adopted unanimously by all 15 members. US ambassador to the UN Susan Rice said the statement, if approved, "would send a unified message that the Security Council condemns the attack of March 26 that led to the sinking of the Cheonan." She added that it "shows the council's unity in confronting threats to peace and security. It underscores the importance of preventing further attacks and emphasizes the critical need to maintain peace and stability on the Korean Peninsula and in the larger region." However, the text would seem to fall far short of what has been demanded in recent weeks by Seoul and by US President Barack Obama. At the end of last month, using the global stage of a G20 summit in Toronto, Obama said the Security Council must ensure there is "a crystal clear acknowledgement that North Korea engaged in belligerent behavior that is unacceptable to the international community." Veto-wielding China was always unlikely to come on board any strong censure of North Korea as Beijing is Pyongyang's closest ally, providing the impoverished nation with an economic lifeline. Pyongyang has repeatedly denied having a hand in the sinking of the Cheonan corvette close to the disputed maritime border. On Friday in Seoul, South Korea announced it would stage a naval exercise with the United States in the Yellow Sea to deter North Korean "provocation," despite strong protests from China about the drill. "The date and methods have not yet been decided but the South Korea-US joint military exercise will be carried out," said defence ministry spokesman Won Tae-Jae. China warned the United States and South Korea Thursday against holding the war games near its waters, and urged them not to worsen tensions with North Korea. The drill was originally set for last month but was delayed until the Security Council wrapped up discussions on the sinking. North and South Korea have had perpetually tense relations since the Korean War ended in stalemate and armistice in 1953. Technically they remain at war. Seoul has been seeking a formal UN Security Council censure of the North, but Pyongyang has threatened a military response to any UN action.